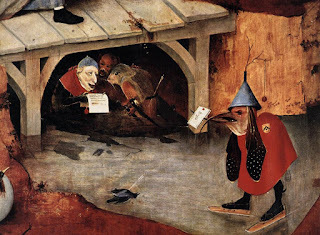 Excerpted from a sidebar helping GM's navigate a demon-driven literary conversation in the Salacious Salon of Sxiploi, a sublevel in What Ho, Frog Demons (the fourth and forthcoming installment in the Slumbering Ursine Dunes series). 1. Applied Hedonics: Are you Pleasuring Yourself Enough at the Cost of Others? Written by the Shade of Tizzard. 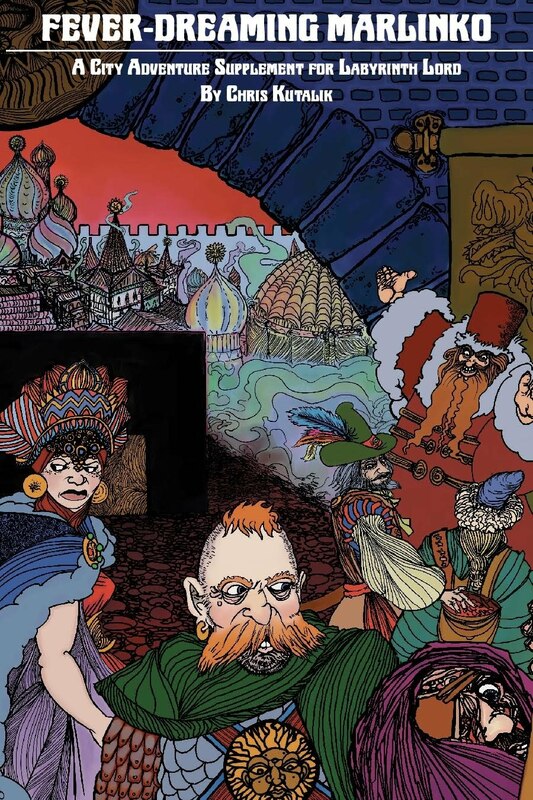 A rising newcomer to the Hot Hell literary scene, the author rings the warning bell on creeping weal in the City Whose Brass Towers Stand Beyond. 2. The Paleo-Soul Diet: A Homecoming to Primal Demonic Gastronomy. The case for the return to simple Cave Dwarf spirit essence-cuisine. Channel your inner Zombastadon. 3. Capital in the XXIII Aeon. Everyone claims to have read this 2,358 page exploration of demonic political economy. 4. Three Word Title: A Guide to the Naming of Products Auteur and Ludic. A short, focused primer. 5. The Iron Doom Crawling Red Monolith of the Cursed Pod-God Maze. Controversial childhood memoir of bestselling Roohaznarf the Uncheckable Flame that Consumes All. Told entirely through random die-drop charts, the title and accounts of charming life events reset at the conclusion of the book. 6. The Five People You Meet in the Sun Lord's Orb. A horror novella exploring the terrors of cloying human religious sentimentality. 7. Black Hobbit Lives Matter Not. A dry, yet informative oral history of halfling agitators in the world of Zem. 8. My Turn Again. A political autobiography of Zzatz, the eternal tyrant of the Seamless Machine. Rumored to be written by shadowy wraith-writer Mo'laliik. 9. The Tome That Cannot Be Spoken Of. 10. The Penultimate Tome That Cannot Be Spoken Of. There is a rather slim volume – one that I am not specifically referencing in anyway either on my tongue or deep in my stolen soul, nor am I ideating as a physical object or as literary concept – that may or may not be the sequel of another book. Perfect as a gift for that special someone in your life of Unspeakable Evil. 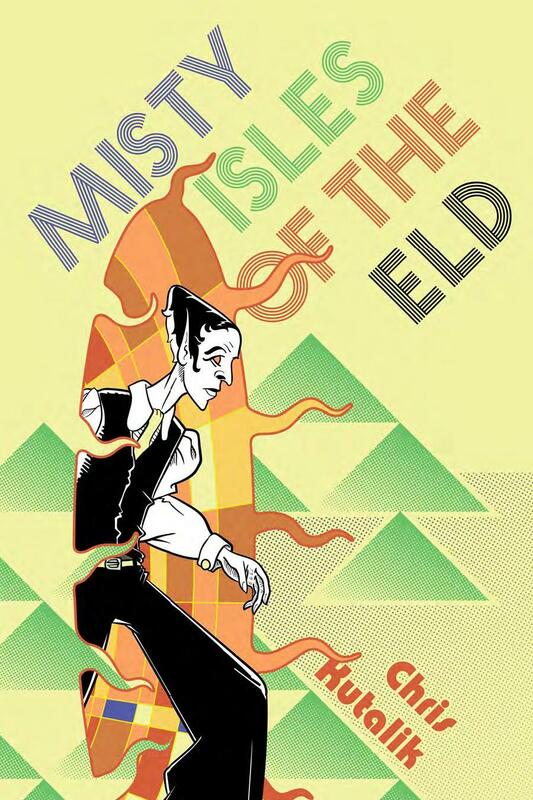 Business first, starting tomorrow 10:00 am CST Misty Isles of the Eld will be DriveThru RPG's Deal of the Day which means a massive flipping 24-hour sale at 40 percent off. I am highly likely to run a design contest for making a Misty Isle of your own fever dreams tomorrow as a related celebration. Details on that and the related fabulous prizes then. Our dear Overking Ragimund is gone and buried. Hurrah for the new Overking, whoever the Sunlord Most Judicious (and the Lord-Electors) deem worthy. Though without vote and voice, the realm is hypercharged with talk of the succession. Screaming pummeling crowds gather in Marlinko's Tomb-Plaza screaming and pummeling their arguments for each candidate. “Experience the Koz”, the slogan rings through the commons as the filthy multitudes show their inexplicable mass love for Koza the Regimental Goat as the new candidate. Alternately styling themselves Kozers, Koziacs or the self-deprecating Goat Bros his followers seem to be everywhere and enthusiastic despite the long odds. Campaign appearances of the goat inspire a near-hysterical expressions of adulation by the thronging hordes who bleat in chorus with the short punchy stump speech of the nominee. The Uberduke Heimlic of Popradu and his Steeplejacker party have announced an expansion to their program: a modest poll tax on the “leveling” of “classed characters” strangely offset by a tax credit to those characters under the rank of fifth and possessing no more than 4,999 gold suns. Wildgraf Bodegast is running on the standard Grimbibber playbook of mentioning nothing about their events, program and policy to their social inferiors. There is little to read in the tea leaves of that party's traditional, secretive pilgrimage to the Peristyled Temple of He Who Rides Whooping the World-Turtle into the Ebon Sphere of Blissful Annihilation, though merchants in the capital find odd the sudden mass invoicing of frog-featured copper masks and wavy gnome-skinned daggers by the party. That said, there are some times when it just runs flat and anti-climatic. Some of the worst let downs being one-on-one fights with a hated villain or worthy opponent. For going on seven years I've noodled around with a few subsystems to model that kind of fight. The first Hill Cantons Compendium had options for making a pressed attack at an AC penalty (and a defense with an AC bonus). By this Axe used a dice pool and included some scaling options. 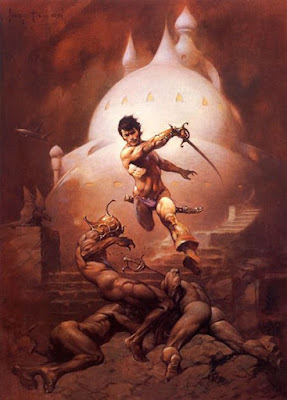 The following synthesize those with some inspirations from the interesting combat rules from Heritage's old and obscure John Carter, Warlord of Mars. Warning: none of this has been playtested yet (and I am still working out ways to model fights involving multiple opponents and missile weapons). If you do find yourself using them, drop me a line and tell me how it goes! Dueling rules are used for climatic or otherwise interesting battles between single opponents. Standard rounds and the standard hit/damage system are used but employ non-standard options, modifiers and initiative. Players and the GM write down their option from the following list before the round starts and reveal them as it begins. 1. Standard Attack. Vanilla measured attack, normal modifiers. Opponent taking Concerted Defense gets an modified attack response, but no Counter. 2. All-Out Attack. Attacker pushes the limits and trades a furious series of blows—at a cost of corresponding amount of AC for the round. If she hits and scores damage at or above the result on the following chart. Opponent taking Concerted Defense gets a modified attack, but no Counter. 3. Concerted Defense. Character pulls into a defensive stance, parrying and waiting for an opening to strike. The character opts for a bonus to his AC, taking a corresponding penalty to hit for attacks this round. The character strikes at the end of the round and may gain a Counter (a second similarly penalized attack in the round) if an All-Out fails to hit and/or make the minimum damage threshold. 4. Dirty Trick. Character attempts to throw sand in the face of her opponent, kick in the nether parts or otherwise distract the opponent (player/GM should go wild giving flavor for this). 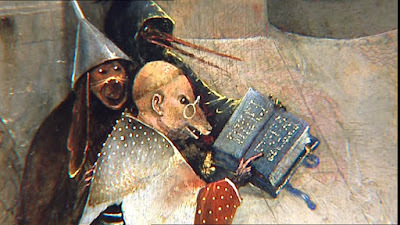 On a roll of 1-2 on a d6 the opponent can not carry through with their option this round (AC is at normal) and loses the next round completely if the trickster employs a Standard Attack. (In other words the trickster can make a free unmodified, uncountered attack at typical AC the next round). 1. Character playing a Dirty Trick. 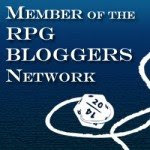 If both characters are doing Dirty Tricks, automatic no effect for the round and no effect for the next if they both succeed at their d6 rolls. 2. Character making an All-Out Attack. If both characters are attacking than the character with the higher plus modifier strikes first. If tied than both attacks are simultaneous. 3. Character making a Standard Attack. If both characters choose this, then combat is simultaneous. 4. Character making a Concerted Defense. A defending player now attacks using their penalized attack. If he is defending against an All-Out Attack that didn't hit or makes its damage threshold then the player gets a Counter, a second penalized attack.